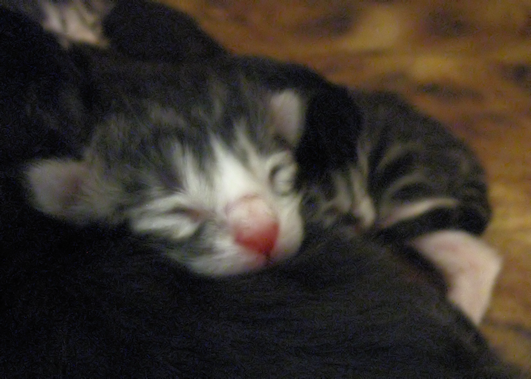 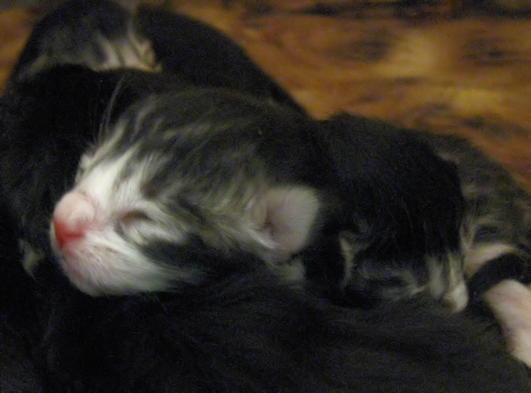 Maybelline gave birth to six black and white kittens in the wee hours of the morning. 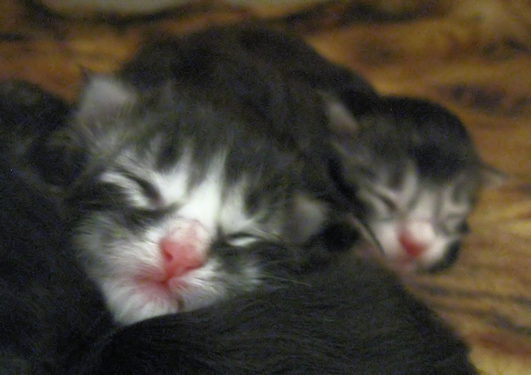 All are doing well and eating like crazy. 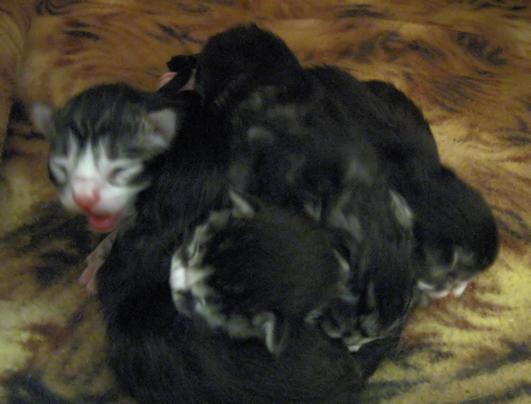 Mom is very protective but had to eat sometime so we were able to get a few pictures.